Former Inspector General of Police, Gen Kale Kayihura has finally broken his silence from his confinement with a plea to the Commander In Chief, President Museveni to reign in and solve the injustice he is suffering since he was detained. Kayihura who spoke through his lawyers Kampala Associated Advocates (KAA) claims that ever since his arrest and detention, the security systems are only fishing and forging incriminating evidence against him with no specific plan of execution or basic truths. “That is why you see these raids because they are trying to fish evidence here and there and whenever they subject it to the intelligence community it crumbles, so they are back to square one and forging,” Kayihura’s lawyer Jet Tumwebaze said. “That is why despite the screaming headlines of evidence this and that, the man has not been charged in court. The witnesses are brought in court not at press conferences,” he added. Kayihura according to his lawyer is now asking Museveni to intervene in what he feels is injustice against him. “On all the other cases that the President has asked everything be double checked, he will still ask that everything be double checked in this matter. That confidence is unshaken for him (Kayihura) from the day he arrived in Makindye ,” the lawyers said. Kayihura has since his arrest been pleading with security systems detaining him to allow him talk to President Museveni albeit in vain. The General upon arrival to his detention facility had his phones withdrawn except one feature phone to allow calls from family and lawyers. He however pleaded with the systems to provide him an opportunity to speak to Museveni who once lavished praised on him as a loyal cadre but the president has shown no interest neither have the security systems. “He has persistently requested that he first be allowed to talk to the president and our view is that it is not currently possible for he had time to talk to him before, but he never utilised the chance,” a security source was quoted a few days after Kayihura’s arrest. “General Kale has not spoken to the Commander in Chief, as and when the Commander in chief deems worthy, he will speak to him. He is aware,” Kayihura’s lawyers said. For thirteen years Kayihura was at the helm of police, he had one of the easiest and most immediate access to president Museveni. However, a couple of months before he was dropped, President Museveni shunned his calls and started eluding him. Sources close to the president alleged that by the time of his arrest on June 6, Kayihura had not met or talked to the President in months except when he rushed at the airport to welcome him from an African Union summit early this year. Kayihura’s other lamentation is that he has been jailed for over a month now and not even a single statement has been taken from him. The General has not been interrogated either. “As a firm we would have been and have agreed with the army to be part of that interrogation,” Tumwebaze claims. Under 5.4 (2) of the Security Organisations Act, ISO (which has so far taken centre stage in Kayihura case) has no legal mandate to arrest and detain any person. The power to arrest and detain is a preserve of the Uganda Police Force and in some instances, the military through CMI, which can arrest and detain people who are subject to Military Law. ISO is neither a department of the Army nor a unit of the police. Further more, any person arrested can only be detained in a gazetted detention facility and suspects must, within forty-eight hours, be transferred to the jurisdiction of the criminal court to be charged, or released. This unfortunately has not been the case for Gen Kayihura. “I can tell you for certain that what they have against him for now cannot stand for scrutiny even in a Taliban court,” his lawyers rejoined. 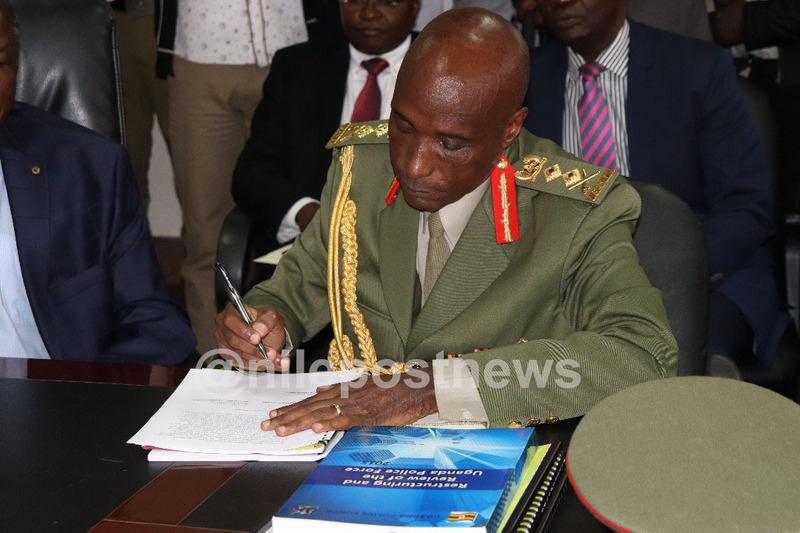 Kayihura signs a report to the new IGP. A series of charges have been echoed through informal channels as preferable towards the former police chief, but his lawyers maintain the General claims he is innocent per se. “Yes they (possible crimes against him) could have been operational mistakes or some errors of judgment and that is what General says in his statement, that they were not deliberate criminal acts,” his lawyers said. “By the time you pick a whole General you must have much more than just a rumour,” Tumwebaze added. The General has also said he is not in a hurry to leave jail despite attempts by certain individuals to have him arraigned in court through a habeas corpus application. Deusdedit Bwengye on Tuesday filed an application (habeas corpus) in the High Court in Kampala seeking orders to compel the army to release Gen Kayihura. However, General Kayihura despite appreciating Bwengye’s selfless act to have him released said he is not in a hurry to leave jail until the security systems have had enough time to round around fabricating evidence and finally stumbling on the truth. “We are the ones pushing him to apply and he said no let these people find whatever they need to find, what I know for certain is that they will find nothing,” the lawyers said. 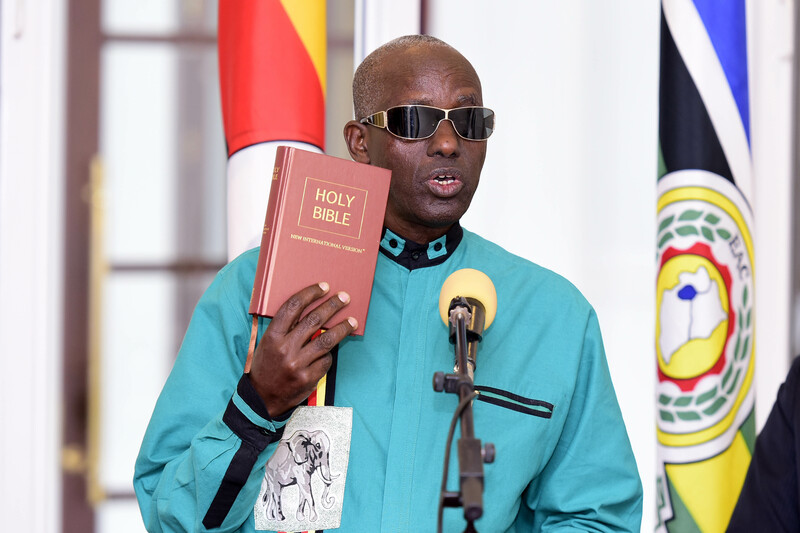 The in-coming security Minister Elly Tumwine takes oath during the swearing in ceremony at State House Entebbe on Monday 12TH March 2018. Security Minister General Elly Tumwine, called upon those fabricating things to remain calm and wait for the action by security agencies which he supervises. “The minds of the people are so fertile, they are fabricating things, some may be true and others not. My humble appeal to the people is that they should be patient and calm,” he said. 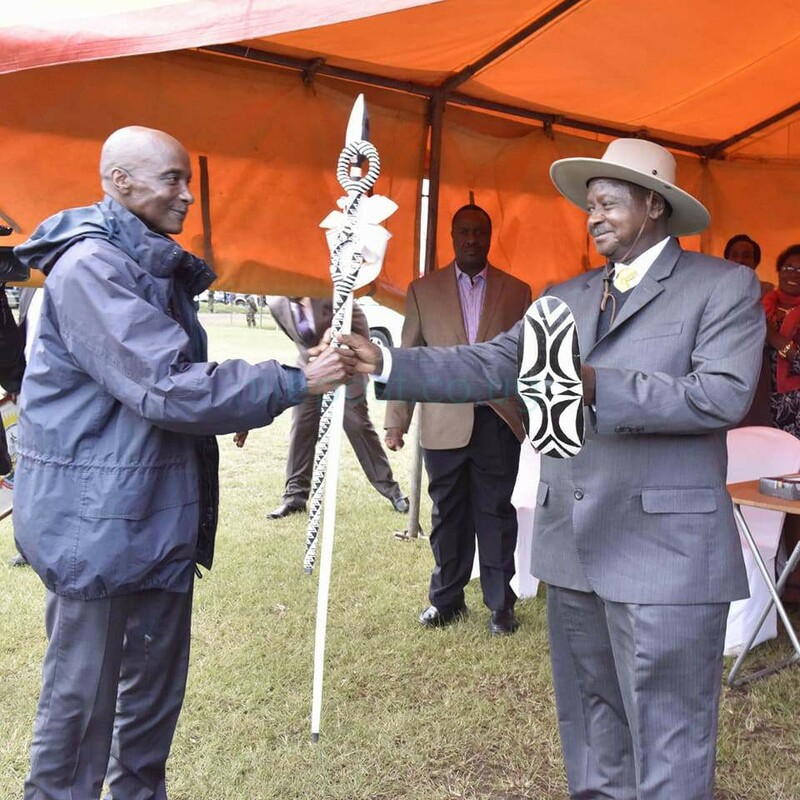 Earlier, Prime Minister Ruhakana Rugunda begged leaders of Kisoro to leave the matters of General Kale Kahiyura to president Museveni to rule on his fate. 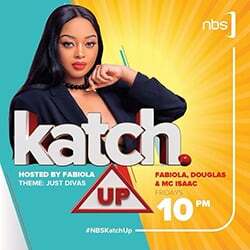 This followed a petition by leaders and elders from Kisoro District who were demanded for Kale’s unconditional release from Makindye barracks without any interference. The group led by Kisoro District chairperson Bizimana Alex, Rose Kabagyenyi (Kisoro woman member of parliament) , James Nsaba Buturo (Bufumbira north) held a closed meeting on the fate of Museveni’s former blue eyed boy General Kale Kayihura who has been ” detained ” in Makindye army barracks close for over a month. However, sources from the closed meeting indicate that the Prime Minister who hails from Kigezi told the delegation to tone down on the fate of the embattled General. Rugunda begged the elders from Kisoro to be patient until he organises a meeting with president Museveni who will be in position to address them on the way forward for Kale Kayihura. These suspects paraded by ISO pinned Kayihura and FDC’s Ingrid Turinawe on causing unrest in the city. At a press conference dated 9th July 2018, the Director General ISO Col Frank Bagyenda “paraded” some “suspects” who confessed to working with Dr. Kizza Besigye, Ingrid Turinawe and Gen. Kale Kayihura to cause unrest in the city. 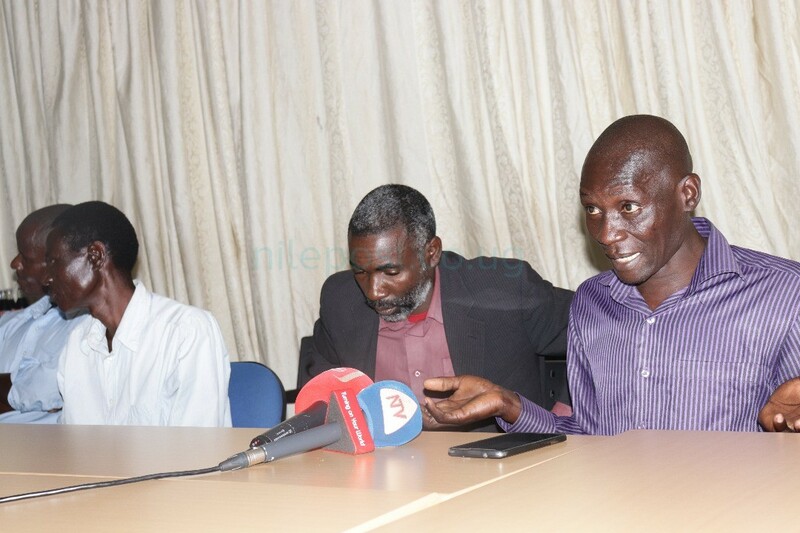 The two people including; Peter Mwanje, a boda boda rider and Moses Bakwanya are accused of having been involved in the recent spate of attacks. The two suspects also accused the former Inspector General of Police of having knowledge of the panga attacks against members of the public. Mwanje claimed he was in charge of transporting logistics including pangas and leaflets that were being printed at Nasser road in Kampala. “I realized this was wrong and I reported the matter to police who later took me to Gen.Kayihura.I later took them to some of the suspects who were arrested red handed with pangas stained with blood,”Mwanje said. The suspect said when he reported the same matter to the police Professional Standards, nothing was done. When put to task explain the allegations, Mwanje insisted he had evidence and was ready to pin the above mentioned people in courts of law. 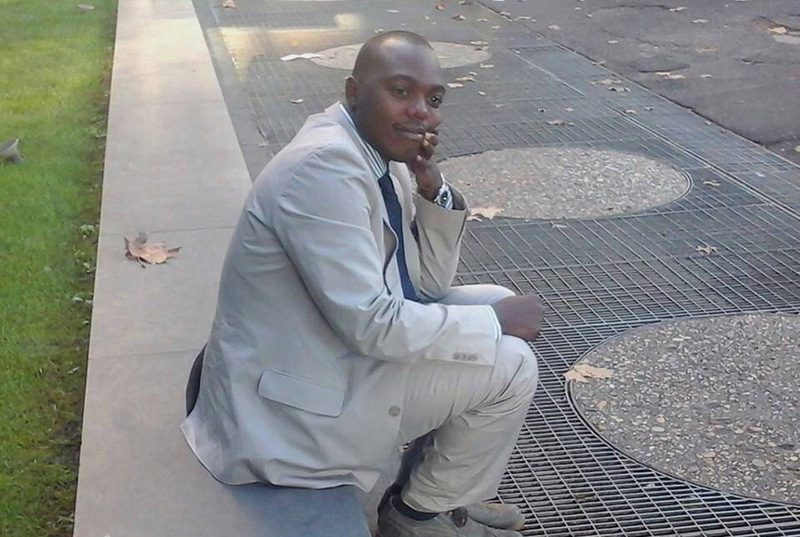 Does Kayihura’s former aide Baroza hold the key? Jonathan Baroza currently on the run. With the evidence still not enough to incriminate the General, nets have been cast wide to catch his former aide, Jonathan Baroza who went AWOL. On Monday, the Inspector General of Police, Martin Okoth Ochola made known to the country that the police was on hunt for Baroza. Earlier reports had indicated that Baroza had been arrested in a swoop that saw former IGP Gen.Kale Kayihura and a number of his cronies arrested by the Chieftaincy of Military Intelligence (CMI) but this turned out untrue. After being dropped by Gen.Kayihura as his aide in 2017, Baroza was sent to Algeria as a police liaison officer at Interpol but has been on the run since last month. A number of senior police and army officers believed to be close to Gen.Kayihura were a month ago arrested by the army before being detained at Makindye over a number of offences that the army has kept a secret. All of them, apart from Col.Ndahura have never been arraigned in any court to be formally charged of any offence.